My best skill is taking an extremely complex case and boiling it down to a persuasive story that any jury can understand. I prepare each case as if it’s going to trial from day one, which puts the opponent and the court on notice that my client is ready to go the distance. Jim Reed is a veteran trial lawyer dedicated to protecting the interests of both plaintiffs and defendants when complex business deals go south and give rise to litigation. 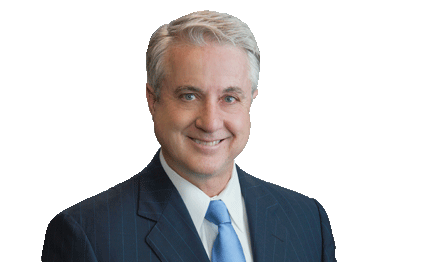 Through aggressive trial preparation, creative negotiations and powerful storytelling in the courtroom, Jim has achieved numerous successful verdicts, arbitration awards and settlements in a broad range of challenging commercial disputes. More recently, Jim has focused on resolving oil and gas disputes in major and small-town courthouses throughout Texas, with a strong emphasis on royalty and working interest owner class actions involving failure to pay royalties, take-or-pay/manipulation of allowables, breach of express and implied covenants, fraud and other commercial torts. With more than 40 years of trial practice, Jim has served as lead trial counsel in dozens of complex civil litigation cases across many industries and involving virtually every type of dispute, including breach of contract, fraud, breach of fiduciary duty, tortious interference, conspiracy, anti-trust violations, deceptive trade practices, insurance code violations, partnership disputes, corporate governance/ownership disputes, RICO violations, sexual harassment, constitutional claims, assault, battery, libel, slander, trespass, nuisance, product defect and personal injury. Successfully represented the working interest owners (plaintiffs) in a gas contract take-or-pay/manipulation of allowables case, obtaining a significant jury verdict for the plaintiffs, including exemplary damages. Texas American Bank-Galleria N.A., as Trustee and Operator vs. Enserch Corporation, d/b/a Lone Star Gas Company, in the 12th Judicial District Court of Madison County, Texas. It was one of the largest verdicts ever awarded in Madison County. Won a $30 million dollar settlement of a statewide royalty owner class action settled in 2004 after seven years of trial and appellate work. The allegations included breach of express and implied covenants as well as commercial torts. The settlement was on behalf of approximately 36,000 royalty owners. Russell Neinast, et al. v. Union Pacific Resources Group, Inc., et al., in the 21st Judicial District Court of Washington County, Texas; No. 97-12-06021-CV; Lowell F. Hankins, et al. v. Union Pacific Resources Group, Inc., in the 112th Judicial District Court of Crockett County, Texas. Union Pacific Resources Group, Inc. v. Hankins, 111 S.W.3d 69 (Tex. 2003). After a week of trial in federal court, won a significant settlement in a North Dakota pipeline explosion. As lead counsel, Jim represented a corporate Plaintiff suing a pipe manufacturer after a pipeline explosion in North Dakota, and obtained a settlement for the Plaintiff after a week of trial. Aminol v. Kaiser Steel, Federal District Court (Houston Division) (1984). Won a multi-county royalty owner class action settlement in 1997. Jim represented in excess of 11,400 oil and gas royalty owners in a royalty underpayment claim against Mitchell Energy Corporation and other Mitchell corporations. The lawsuit involved claims that Mitchell failed to reasonably market the gas and properly account for and pay royalty owners, as well as allegations of commercial torts. The lawsuit was settled in the fourth quarter of 1997 for cash and other consideration. The Rowan Estate Trust, et al. vs. Mitchell Energy & Development Corp., et al., in the 43rd District Court of Parker County, Texas. Won a jury verdict in a fraud/deceptive trade case involving Mobil drilling rigs. As lead counsel, Jim recovered $1 million for an Austrian company and successfully defended against a $6 million DTPA, fraud counterclaim arising from the sale of three mobile drilling rigs. Voest-Alpine Trading USA Corporation vs. IDOC, in the 221st Judicial District Court of Montgomery County, Texas. Won a $20 million multi-county royalty owner class action against Exxon/Mobil on behalf of approximately 1,600 West Texas royalty owners after extensive trial and appellate work. The allegations included claims for breach of contract and commercial torts. Jack O. McCall Estate by and through Dolores L. McCall, Independent Executrix, et al. v. Exxon Company U.S.A. and Exxon Corporation, in the 109th District Court of Winkler County, Texas. Exxon Co., U.S.A. v. Jack O. McCall Estate, No. 00-0541 (Tex.App.-El Paso (2000)). Won $29.5 million in lawsuits on behalf of West Texas working interest owners. Represented more than 130 royalty owners in the prosecution of claims arising from underpayments by Texaco and several of its affiliates. The claims included breach of contract and commercial torts. George Gregory Griffin, et al. vs. Texaco, Inc., et al., in the 238th Judicial District Court of Midland County, Texas; Buford Thomas Self vs. Texaco, Inc., in the 334th Judicial District Court of Harris County, Texas. After a week of trial, won a $1.2 million settlement of a breach of fiduciary/joint venture dispute involving oil and gas properties in Oklahoma. The claims included breach of contract, fraud and breach of fiduciary duty. Lloyd C. Fons, et al. v. Kidder, Peabody, et al., in the 113th Judicial District Court of Harris County, Texas. Won a $1 million jury verdict involving lender liability/fraud claims. Moncrief Interests, Inc. and Lee P. Moncrief vs. BancTexas Houston, N.A., in the 55th Judicial District Court of Harris County, Texas. Won a $1 million jury trial as to insurance code violations, deceptive trade and breach of fiduciary duty claims. The case settled for a confidential amount. Jetero USA v. Hartford Casualty Insurance, Harris County, Texas. Represented 85 homeowners in a lawsuit against J.M. Huber Corporation and Engineered Carbons, Inc., among others, related to a carbon black plant that was emitting carbon black and other gases which fell on Plaintiffs' property. The lawsuit settled in 1998 for a confidential amount, and in addition to the settlement, the Defendants expended millions of dollars in plant improvements to decrease the plant emissions. Randall Bell, et al. vs. J.M. Huber Corporation, in the 152nd Judicial District Court of Harris County, Texas. As co-lead counsel, won a jury trial verdict finding fraud (actual and exemplary damages) in a stock option case. Stefan Michael Halaszyn v. Energy Service Company, Inc. f/k/a Blocker Energy Corporation, In the 11th Judicial District Court of Harris County, Texas. Won a wrongful termination verdict in Texas State court in 2011. In December 2012 successfully prosecuted a contractual intellectual property case against Halliburton on behalf of a wireline truck company. The confidential settlement had significant cash benefits as well as lucrative business commitments into the future. Lead counsel in numerous international trading disputes (lawsuits and arbitration) involving petro-chemicals. Represented several gas pipelines in take-or-pay and pricing disputes with producers. Lead counsel where jury returned a verdict in favor of the Firm’s client, a former police officer who brought claims against a school district, and the Captain and Sergeant of the district’s police force, for violations of the Texas Whistleblower Act and rights secured by the First and Fourteenth Amendments to the United States Constitution. After trial, the school district and individual officers perfected an appeal to the Fourteenth Court of Appeals in Houston. The appellate court affirmed the judgment of the trial court in October 2013. With J. Cary Gray, James M. McGraw, James L. Reed, Jr. Does Your Property Tax Bill Seem Like a Shock and Awe Campaign? By James L. Reed, Jr.
© 2019 Gray Reed & McGraw LLP All rights reserved worldwide.